Coppelia Ice Cream Parlour... at Calle Y and Calle 23 in Vedado... is directly opposite the Yara Cinema. 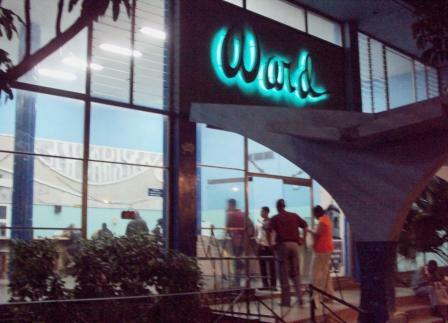 Here you will find Cubans in line for their favorite sweet almost every day of the year. In the winter months, the lines are short, but in the hot months you can expect to stand for one or two hours. There isn’t a lot of affordable fun in Cuba, so meeting friends and eating ice cream to your heart’s delight while catching up on gossip is a popular past-time. In the domed eating area you pay twenty cents for an ensalada, or five scoops of ice cream in a plastic bowl. Most clients order from two to five of these bowls and savor every bite. You can see them scooping leftovers into plastic buckets to take home. Tourists are not allowed in the upstairs parlor. But if you go with a Cuban friend, dress down, and keep your mouth shut, you could pass for a local and get to the upstairs. There are eagle-eyed guards watching for intruders, so be prepared. Otherwise, foreigners have to eat in a special roped-off area on the ground level. They pay in CUCs but receive a better-quality, creamier ice cream product. There were more than forty flavors and it was delicious. 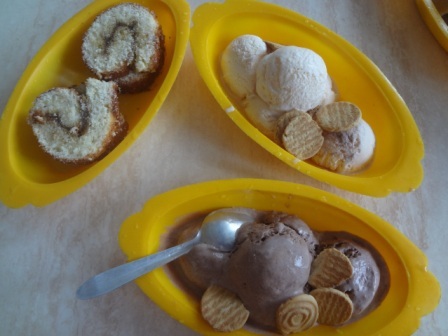 Since the Special Period, when milk began to disappear from the Cuban diet, the ice cream quality has fallen every year. It now contains soy and milk by-products. There can be up to 8 flavors available at opening time but by late afternoon it has dwindled down to just a few. If you’re lucky, they will have cake that day but this also disappears quickly. Coppelia is open every day except Monday, from about 10:00 am to 9:30 pm. 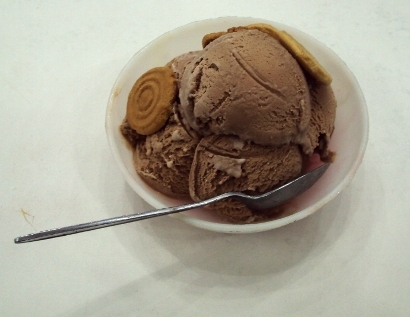 For a better quality of ice cream, seek out alternative parlors such as the ones located on Obispo, or Ward's Ice Cream or the one at Monaco shopping precinct. They all charge Cuban pesos. And they serve an ice cream superior to that now to be found at the famous Coppelia ice cream rooftop parlor.